There are no barriers to gender, physique, age, background or ability. 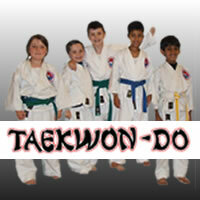 Children as well as adults of all ages can benefit from Taekwon-Do at various levels. We are here to help you in whatever goals you may choose in martial arts training. This can range from gaining more confidence and assertiveness for effective self defence, to personal development, or improved physical and mental health, as well as any other challenge you may set for yourself. It is also a great place to meet some very positive and encouraging people. Children follow a programme designed with all round development in mind. Age-appropriate self defence and safety awareness. Fun workouts to keep motivation and enjoyment levels high. Practice of simple calming breathing techniques and relaxations.